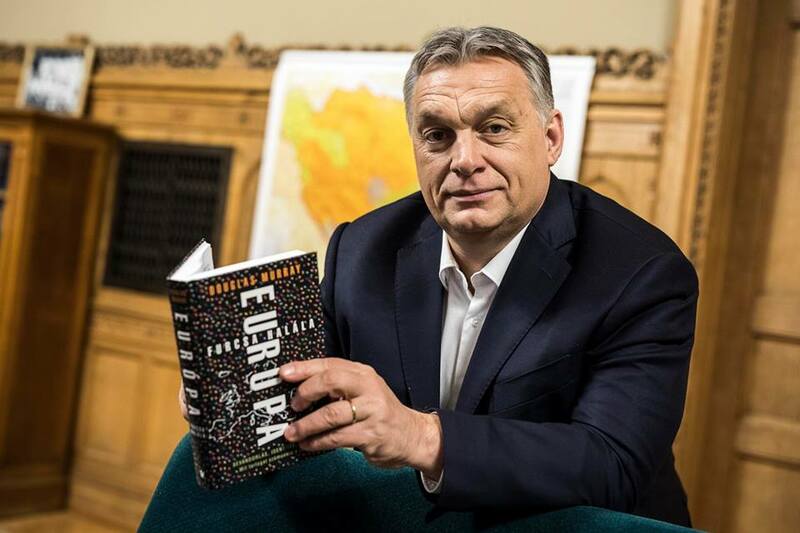 Blahalujza’s piece is a revealing, inside look into the world that Viktor Orbán built. We are pleased to publish this in HFP. I have thought long and hard about the elections. Trying to figure out whose fault the outcome was. How it can be that almost everybody I know hates, and I mean hates Orbán and his regime, and yet they have won again. It does not add up. I happen to believe that something very treacherous went on on election day when mysteriously servers stopped working soon after the voting began. I cannot prove this, of course. But my instinct tells me that people do not normally queue up for long hours and until late at night to keep someone in power but to vote against them. Feel free to correct me on this. I don’t normally write or voice an opinion publicly as I have learnt that there will always be fellow countrymen (and women) who will shout louder than I can be bothered to. But last night my mother told me that Tibor Fischer, whom I greatly respect and have been lucky enough to interview a couple of times, defended Orbán Viktor – again. Last time I spoke to Tibor Fischer, I was working for Lánchid Rádió, owned by one of Orbán’s arch enemies, Simicska Lajos – at least we are made to believe they are enemies but that is besides the point now. Having exchanged a few e-mails, I ended up telling Tibor that the radio was persona non grata. State-run organisations such as the National Museum for example, were not allowed to give us interviews at all on any subject. Whilst working there, I once got an email from an ethnography expert apologizing for the situation and pointing out the insanity of not being able to talk to us about a subject like Easter. Others with whom we had maintained an excellent working relationship wrote to us begging not to email them ever again because if it got found that they reply to us, they would be fired straightaway. Although the radio was supposed to be on the “other side”, we always strove to represent both sides of all arguments on all issues. We genuinely wanted honest, no-nonsense and straightforward discussions. We wanted discourse. I wanted to write about Orbán’s biggest sin, which I can now articulate after a considerable amount of contemplation. It’s not that we now have no idea who owns half our country. It’s not that a small select circle of chums is stinking rich whilst others are supposed to be able to live on 47 000 HUF (approximately 150 Euro) a month. It’s not even that our children have almost no future in this country. It’s that most people seemingly have lost all sense of moral judgement. Not because they don’t know any better but because they are scared. In Hungary today there is no freedom of conscience. Life is purely about survival. I have known several people in the opposition media who went to work for the government media that they had always spat on for its lack of professionalism, utter bias, propaganda and incessant scare-mongering. They did not suddenly come to their senses and realize that they wanted to be Fidesz subjects. Call me a cynic but I cannot fathom such metamorphoses. The journalists in question, as well as most people in the country, navigate to support their families, to pay the bills and they keep very, very quiet about what they really think or feel. Much like in the 50s when my grandparents’ most used expression at home was “nicht vor dem Kind” in case the unsuspecting child told the neighbours what their parents had said at home. And who knows into whose ears the good neighbours would whisper next… Tibor Fischer’s parents escaped from that Hungary, and yet he still defends Orban who is doing to this country what the Communist did for decades from which the country never really recovered. And now it’s starting all over again. Recently I saw a lecture by professor Jordan B Peterson in which he was telling his students what Communism was. At first I was astonished that the people about 20 years younger than me needed to be taught what was common knowledge where I come from. But soon I realized that not only did they never live through it but, being Canadian, they could not have heard a first-hand account of what the mean darkness of the Communist world meant. At that point I also realized that people outside of Hungary will probably never understand what the real problem is with the Orbán regime apart from the obvious constant scare-mongering, the persistent and staggering corruption and a general tendency to drag Hungary back into the dark ages. Ten years ago, after having had a child in Britain and with a British husband, I moved back to my native Hungary. I wanted my children to be Hungarian. This year for the first time in my life I didn’t wear the tricolour rosette Hungarians wear on March 15 to commemorate one of our many failed yet beloved revolutions – this time against the Habsburgs. Celebrating March 15 had been banned in the Communist era so wearing a rosette had always been a point of resistance, a small sign of rebellion, a sign of protest against the oppression. This year I chose not to wear it because the Orban regime has been using the term “national” in such a way that has made me prefer to keep my distance from anything “national”. And, above all, it has become an exclusive term: “national” is good by default, anything else is bad. In Hungary you can only buy tobacco from the “National Tobacconist”, one of the oldest cinemas in the country has been renamed “National Urania Cinema” and they even had the audacity to rename my favourite botanical gardens “National Botanical Gardens”. The mind boggles. However, these may just be my personal aversions. The really unsettling thing was the emergence of The System Of National Co-operation (NER). Although vehemently rejected by the opposition, yet approved by Fidesz’s 2/3 majority, a bill called the Declaration Of National Co-operation was accepted by Parliament in 2010. Orbán declared their election victory of the same year was a new social contract and the text of the Declaration is required by law to be on display in all government institutions. Other institutions were kindly asked to display the text, if they so choose. Although the declaration begins with the words “Let there be peace, freedom and consensus…”, the very fact that it was plainly the product of Fidesz ideology and no real consultation took place carries dictatorial tendencies and, if nothing else, leaves a very bad taste in the mouth. Orbán Viktor betrayed at least two generations. Certainly mine but also my mother’s who was about the age I am now when Orbán appeared like a comet on the Hungarian political scene. He did what no-one had in their wildest dreams dared even think of: he told the Soviet troops to get out at once. He was our hero. We admired what we saw as fierce intellect, razor sharp, clear mind and almost unparalleled bravery. Even many years later, when Fidesz was in opposition, we spent many hours standing in the rain and sweltering heat, walked many miles during demonstrations in support of him. My mother’s birthday present was a small, fold-up chair, known to us as “the demonstration chair”, so she could occasionally sit down during rallies. Orbán’s words were like summer rain to us, like a breath of fresh air after many decades of stale Communist propaganda and outright lies. When Fidesz were finally re-elected new horizons seemed to open up, the promise of a better, free European life was in the air. Ecstatic with joy, we felt his time had finally come. I don’t recognize the Orbán Viktor I see today. I often wonder if he does. I also fear the reasons for this we will never know. If ever I allowed myself to be emotional about it and think back to the days of the Third Fidesz Conference, where my friends and I saw him come up the stairs in jeans: charismatic, yet humble, casually saying hello to us, no doubt my eyes would fill with tears. Now I only see a man who betrayed all of us, and my heart fills with worry over the future of my children. I can only hope that Darkness At Noon is not descending again. It is time to leave the bottom-feeders to cannibalize themselves. Hungary will lose EU voting rights and funding soon. Fear, at deep brain, has been studied by the Republicans in the early 2000’s as a more certain vote-getter than other motives at higher cortical functions. In facing off with Perry for this second term, Bush dismissed his opponent, even by name, and provided a forced choice –choose me, or choose death. So with Orban, choosing to point largely to fear and danger, when there were many other choices, far more positive –lower unemployment, a more vibrant economy. In the many criticisms of Orban, few observers, however, address his strength in talking uniquely in a vernacular the countryside understood and hungered for –the bolstering of injured pride. There now remains two years, however, to face mistake from a position of strength Fidesz has mustered. Such self-criticism has merged from Christian Church leadership. During the painful period of 2015 when the wave of refugees first appeared in unworkable numbers, the correct solution was shown by Pope Francis regarding the Hungarian quota. While Hungary, asked to accept 1200 refugees, Francis included a round, “farthing” of 120 into his tiny city soon after Orban left. Differentiating the refugee from migrant from from “troublemaker,” remains a critical choice, but it was folly to somehow bake out from a small number of 1200, a frightening and unworkable 2 million. His advisors should be sacked!! Orban has won resoundingly, and can acknowledge mistake from a position of strength, lest the entire nation be penalised with the 2020 budget, risking losses to both Hungary and Poland in the hundreds of billions Euro. He can pre-empt such humiliation and most painful hardship from a poistion of advantage and by doing the correct thing now. I would like to reassure “blahalujza” that everything I have written for HFP meets his requirements. I knew, personally, every one of Hungary’s Prime Ministers and their closest advisors after 1990, and followed closely their conduct from Hungary. I organized, from Hungary, Mr. Orbán’s first visit to Canada. I gathered first hand knowledge of his behavior and of his closest cronies, was a close friend of the man who owned Lánchíd Rádió, István Töröcskei. I broke out of Orbán’s circle in 2001, spoke out publicly against him when he was still in power during his first prime ministership, and have some experience of what can follow such criticism. That is why I left Hungary for good in 2010. Hungarians are lucky to have Mr. Orban leading their country. When other nations turn into a mess of multicultural rubbish, Hungary will still be Hungarian. why these Muslims and Africans aren’t turned away at Europe’s border is truly a mystery. Same article, same photo of Orban as on the KMH. But no open and honest comments are allowed on either site. Or should I state that such comments were eliminated by the dear censor. Thank you for calling it a “free press”, despite your phony claims. If it’s claimed “FREE” it has to be strictly limited and controlled. That is why called Hungarian. Hm ? You often demonstrate absolutely no understanding of the issues at hand, nor the context, nor the history, as they pertain to Hungary. Yet you write endless, convoluted, often off-topic comments that do a disservice to this site. This is why some of your comments do not appear. D. Hermiston: ever occurred to you that one has nothing to do with the other? 1. Former socialist countries in the region also did not let in immigrants. 2. They did so by simply not letting them in, they did not cover the whole country with posters of an aging laughing man. 3. They did not covert publicly funded media into the government’s propaganda machine. 4. They did not deny the people democracy, by, for example, dismantling supposedly independent arms of the judicial system. 5. They did not let in , secretly, some 23 thousand !!! immigrants while saying the opposite. 6. They did not steal half of the country for themselves in the process. 7. Nobody would want to go nor stay in Hungary anyway. Never occurred to you that Orban is only using this propaganda, (while he acts opposite), as a cover to take full power, ‘win’ elections, and steal billions? Don’t feed the troll, pls. The facts you bring up are well known, by they don’t matter to the evil faithful. My comments most often not published by you, simply because it attempt to awaken your conscience. You, a son of of a Hungarian refugee family, who was born and educated in a free country, that is also an “open society”. Yet you, with a PhD. 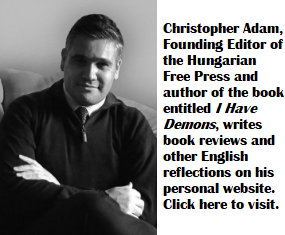 had to become and serve the oppressive interest of an oppressive ideology, by serving as a censor to oppress free expression, on a site you falsely labeled “Hungarian Free Press”. Doing that while stands behind your back a servant of an international financial organization. I hope it hit your consciense sometime. May be it will awaken you, before it is too late. So, here is one more for you to send to the waste bin. As you most often do my comments. András B. Göllner — being so wise, should you not recognise the author’s pen name and gender? I happen to know a few middle-eastern Muslims, and a lot more African(African-Americans), a dare to say they are are far more decent and intelligent persons than many authors and commenters here on HFP and KMH. I do not live in Hungary, have several friends who do. But I follow the events taking place there. Have read strange and outrageous articles and comments ,as well strange allegations,since I read HFP and KMH. I do NOT at all find anything favorable about their present government, nor could I consider much to be logical or even reasonable. Dozens and dozens of times I have requested authors and commenters, to provide, even if not evidence of their allegations, but at least some data ,that could lead to ideas that could be researched to lead to some logical explanations of their repeated nonsensical claims. But have NEVER, ever received any such response, npr any info. that could have ever lead to back up any of their allegations. Now, that has really made me wonder about all that BS they allege here and on KMH. But IF any one reading this,can and able to help me to provide such lead, I greatly appreciate to any one. But please, do not come and reply as ‘every one one knows it’. sok mindent föl lehet ismerni,ha az “embert”nem gátolják anyagi vagy egyéb érdekek. Sorry, but you were wrong to support Orbán at any time from about 1994 or perhaps 1995 onwards. From 1998 it was already crystal-clear what he would turn into. To be honest, even back in 1990 it must have been clear that someone with such an ego, such a hunger for personal power, could be a liability as well as an asset. He hasn’t changed, he has just continued on his opportunistic path with gusto; your judgment (if not your goodwill or good intentions!) was simply wrong. Quite right. There were many naive, inexperienced people there. Only two (afaik) Fid early functionaries stated that Orbán was “the same prick” then too. I smelled the brown rat in 1999/2000. I am not involved anymore (69 years), but it seems, that the only remained things from the real Hungary, are their good food, their folk music and their nice girls. You may not be involved (good for you), but everything is real: (on the negative ledger) the hatred, the fascists, the corruption, the misery, the poverty, etc.